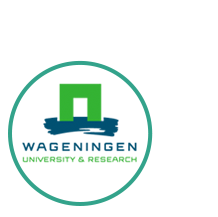 Wageningen University and the Victam Foundation will host the 1st International Feed Technology Conference (IFTC 2019) directed towards the evolvements in animal feed processing. The conference will take place on June 12 & 13 during VICTAM International 2019 at the KoelnMesse in Cologne, Germany. The 1st International Feed Technology Conference will bring together people from the universities, the animal feed industry as well as international researchers in order to exchange their knowledge and expertise, to share technical and scientific developments in the fields of animal feed technology and to discuss research results. The organization sincerely hopes that the Feed Technology Conference will serve as a medium to enhance the cooperation between industry and universities to create innovative projects and collaborations. If you would like to contribute as a speaker, we encourage you to send us an e-mail with your contribution for the IFTC 2019. The abstract (see example here) should include: a title, name of author(s) and affiliation(s) and one-page pdf-abstract; letter type, times new roman 11 pnt (reference list 10 pnts). Please put ‘IFTC Abstract’ in the subject line of the e-mail. The abstract – once accepted - will appear in a ’Book of Abstracts’ that will be used at the Congress. Your abstract will be reviewed by the IFTC scientific committee on suitability to the themes of the congress and scientific quality. All abstracts are to be sent by email Dr. A.F.B. van der Poel at thomas.vanderpoel@iftc.online before April 15th, 2019. For each theme of the conference, we will invite a keynote speakers (45 minutes), three oral speakers (30 minutes each) and three speakers on an approved subject for a poster pitch (10 minutes each). A decision for acceptance (yes/no) of the abstract will be provided two weeks after submission; the accepted abstracts will be published in a Book of Abstracts, available at the Congress. A further notification of the abstract acceptance (oral or poster) will be given at May 1, 2019. The presentations of the IFTC 2019 Conference will later be published as a special issue of the American Journal ‘Animal Feed Science & Technology’. Click the link below to view or download the VICTAM International 2019 brochure. A final program will be available in the next few months. Please visit this website often for the latest updates. Leo den Hartog is director of R&D at Trouw Nutrition and part-time professor in Sustainable Animal Nutrition in Production Chains at Wageningen University. It was from this same university that den Hartog graduated in Animal Sciences in 1978, and where he obtained his PhD on the relationship between nutrition and fertility in gilts and sows in 1984. In 1989, den Hartog received the Henneberg Lehmann Award from the University of Göttingen, Germany. In 1999, he accepted an honorary PhD from the University of Kaposvar, Hungary. In 2014, he was given the Molenaar Award from the Animal Nutrition magazine in the Netherlands and Belgium. This award is given every two years to a person for his or her contribution to the animal feed and additive industry. Den Hartog’s extensive experience in animal production is reflected in over 450 scientific and applied articles and seven books as author or co-author. To date, he has given more than 600 lectures in over 35 different countries. He has also been chairman of Dutch trade missions on behalf of the Ministry of Agriculture, Nature and Food Quality to China, Taiwan, South Korea, Brazil, Argentina, Chile and South Africa. Prof. Zentek received his degree as veterinarian in 1985 from the Veterinary school of Hannover. He received his doctoral degree in 1987 and the degree as specialist in animal nutrition and dietetics in 1993. The habilitation (venia legendi at the Hannover Vet School) was finalized in 1994. He had an extraordinary professorship at the Hannover vet school from 1999-2001. After one year as research scientist in Bristol/UK, school of veterinary science, he was appointed on the chair of clinical nutrition at the Veterinary University of Vienna where he became the head of the institute of nutrition. In 2005, he was appointed as professor at the Institute of Animal Nutrition, Freie Universität Berlin. The conference is held at the conference centre north of the KoelnMesse. You can register here. Please note that you also need to register for the exhibition (online free of charge; onsite €60,-) in order to gain access to the KoelnMesse. MSI students: please email a copy of your valid student ID to info@iftc.online to receive the discount code. Cologne provides over 250 hotels – ranging from low-budget accommodation and state-of-the-art design hotels to stylish suites in one of the large international top-quality hotels. KoelnMesse Hotel Services has arranged several hotel options for you. Click on the button below for more information and reservation. The IFTC will be held at Congress Centre North at the KoelnMesse in Cologne, Germany. Address: Deutz-Mülheimer Str. 111, 50679 Cologne, Germany. MSI students: please email a copy of your valid student ID to info@iftc.online to receive the discount code. The city is at the center of the impressive German autobahn road system. This allows fast and easy access from throughout Europe. Enter DEUTZ-MÜLHEIMER STRASSE 111 into your in-car navigation system for directions to Koelnmesse. The exhibition center also has extensive (paid) car parking facilities. The exhibition center has its own railway station (KoelnMesse/ Deutz) and connects directly to both Cologne International Airport and the city center, the latter being approximately ten minutes. International railway travelers can also connect to Cologne through a fast and efficient railway network. Cologne has an international airport, Köln/Bonn, with major international airlines accessing from all over the world. Düsseldorand Frankfurt international airports are nearby and have excellent frequent rail connections to Cologne. If you are traveling to our event from a country whose citizens require a visa for Germany, you will need to obtain an official invitation letter. A. Sutter Dialog Services GmbH will issue invitation letters on behalf of VICTAM International B.V.